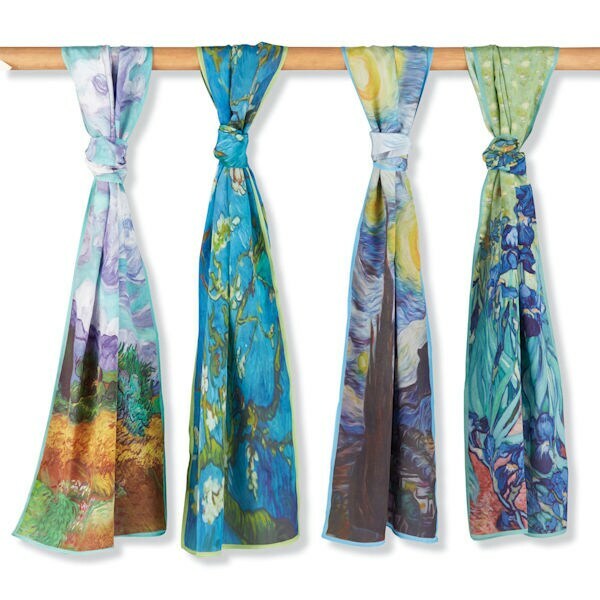 Sheer, luxurious scarves are based on art by the great Dutch master. Each is printed with a famous detail from one of Van Gogh's best-known works. Specify "Wheat Field with Cypresses," "Almond Blossom," "Starry Night," or "Irises." 100% silk crepe-de-chine, 17" x 64". Hand wash. Imported.